The content is ready! The book is written, the polished manuscript has been to an editor, critique partners, and beta-readers, the tagline and blurbs are written, a contract for cover art has been signed, ISBNs are purchased, and front and back matter are complete. The e-book files are ready to upload. Formatting for Print differs from e-book formatting in several ways. E-book files are converted to the retailer’s proper e-format upon upload, whether the file is .doc, epub, or mobi. E-readers and e-book apps may allow the reader to change how the content is viewed—font, size. The print book file must be print-ready, meaning the content of the document should appear exactly as it will on the printed page. E-book files have no headers or footers, while print documents usually contain a header with the title, author’s name, and page numbers. Page numbers may be placed in footer, if preferred. E-books usually contain hyperlinks to the author’s website, social media, and other books. Print does not. E-books are set up as a single-page view. Print books have a two-page view, with side-by-side even on the left and odd on the right pages, requiring the addition of gutter allowances. Each gutter must be on the correct side of the page for proper printing. The pages will be reversed when formatting in word—page 1 will be on the left, page 2 on the right—so gutters will appear on the outside edges rather than inside. This will be corrected automatically when the document is completed and saved as a .pdf. In e-books, page and section breaks requirements vary from one retail platform to another. 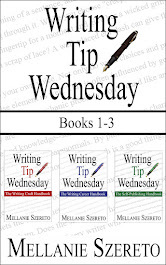 For proper formatting of print books, section breaks must be used throughout the document. Ready to get started? These instructions are for Word for Mac 2011, but other Mac and PC versions are similar. The process can be tedious, so take a break after each step, if necessary, to avoid making simple errors. Step 1: Open a clean copy of the document. No track changes, no editing marks, no bookmarks, no hyperlinks. Step 2: Using the Word toolbar header, use the View drop-down menu to choose Print Layout. Adjust the display magnification and size of the window to allow the two-page view. Step 3: Set margins and page setup: Format->Document. In the pop-up window, set the margins to Top 1”, Bottom .8”, Inside .5”, Outside .5”, Gutter 1”, Header .5”, Footer .5”, Apply to “This section”, check the “Mirror Margins” box. Go to Page Setup and set to “untitled 6.13”x9.25”. Go to Layout: Section start-New Page, Headers and Footers-check the “Different Odd and Even” and “Different First Page” boxes, Apply to-This Section. The formatting will look wrong in the document because the odd pages will be on the left instead of the right, reversed from how they go in a book. The gutter (the wider margin) should be on the outer edges of the side-by-side pages for this part of formatting. Use Save As BookTitlePrint (or something similar to designate that this copy is for the print version of the book) rather than Save to retain a clean copy of the document. Step 4: Title page: 24- to 36-point size (depending on title length), centered text for title, text at the 2- to 2 1/2-inch mark, italics may be used; 24-point, centered text for author name; text at the 3 1/4- to 3 1/2-inch mark. Save. Step 5: Copyright page: Use left justification, 11-point size, single (1) or 1.15 spaced. Be sure to include the ISBN. Save. Step 6: Dedication page: “Dedication” 14-point size, centered text; remaining text 11-point size, left justification, single (1) or 1.15 spaced. Use a Page Break after the text. Save. Step 7: Preface page: optional; use the same formatting as the Dedication page. Save. Step 8: Table of Contents: optional; use the same formatting as the Dedication page. Save. Step 9: Blank page: Use a Section Break (Next Page). Save. Step 10: Chapters: Chapter title at 1 1/4-inch mark, 14-point size; double-space; text of chapter 11-point size, full-page justification, single (1) or 1.15 spaced, indent .2 or .3. Use a Section Break (Odd Page or Even Page). Choose Odd Page if the next page is odd and Even Page is the next page is even. Save after each chapter is formatted. Use a Section Break (Odd Page or Even Page) at the end of the last chapter. Save. Step 11: Acknowledgements page: Use the same formatting as the Dedication page. Save. Step 12: Other Books by Author page: Use the same formatting as the Dedication page. Save. Step 13: About the Author page: Use the same formatting as the Dedication page. Save. Step 14: If the last page with text is an odd page, be sure to add a blank even page to end the book to face the inside of the back cover. Save. Step 15: SAVE. Consider also choosing Save As and adding 1 to the end of the file name to have a backup copy at this point. Sorry, but #7 isn’t finished yet. Title/Author headers come next, so hoard a bunch of patience! Those odd/even pages can be frustrating. 7) Format for e-book and/or print. 8) Update website, blog, and social media.